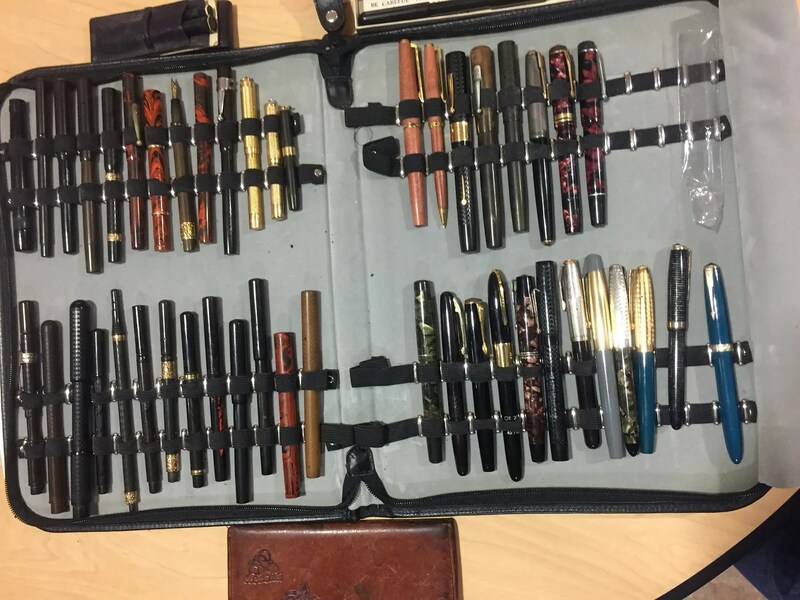 The February Meeting focused on Eyedropper Pens. Some excellent examples were shown by various members and guests and Basil provided an extensive discussion of his collection. The next meeting will be on March 17. We look forward to having you there! The February Meeting will be this Friday (2-17-17) at 6:30. 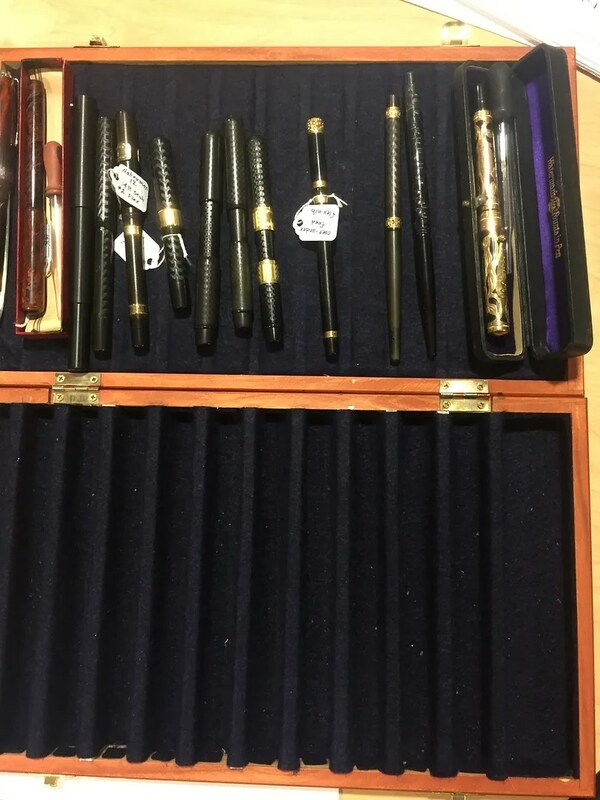 The topic is Eye Dropper Fountain Pens. Bring your examples and questions! 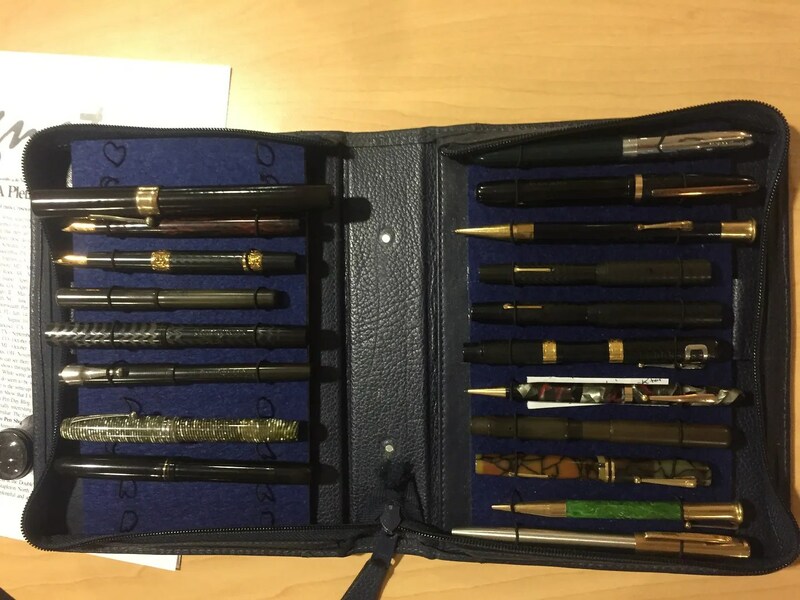 Theme of the January 27th meeting was Pens with Flexible Nibs. An excellent & informative presentation was made by Joel Moline. 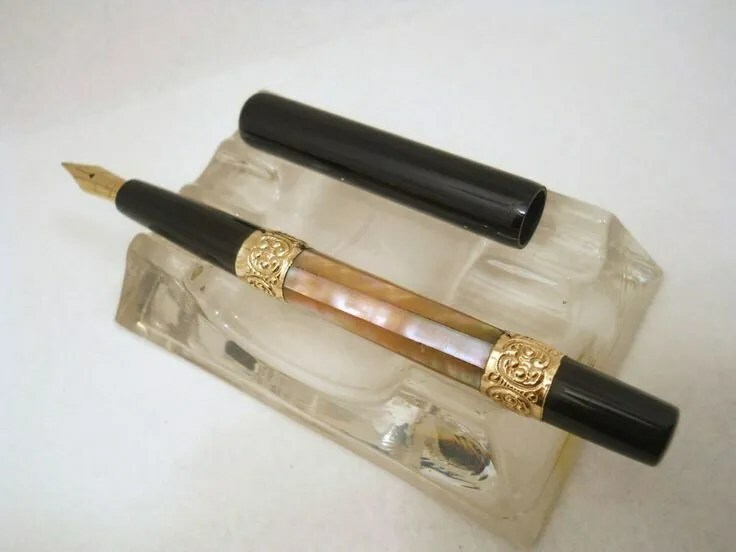 The presentation dealt with two main components, the flex nib pen and it’s user. The summary of the talk below by Joel. The user must understand the advantages and limitations of the flex nib. Too often users are of the opinion that the nib must be pushed to the limit in order to be used. The whole purpose of a flex nib is to provide character to the line of the written word. The user must develop a feel for the nib and a certain finesse in it’s use. To obtain the most benefit the user must control the touch of the pen to paper; greater pressure on the downstrokes and lighter pressure on upward or lateral strokes. Nibs provide us with a variety of characteristics; ridged (the nail), soft (some spring but little if any line variation), Semi-flex (line variation with a bit of effort), full flex ( line variation with a bit of effort), and Wet Noodle ( line variation with little effort…but easily sprung nib). Each nib will vary in the line contrast it provides ( XXF- B, M-BB, etc.). A nibs ability to rebound, to go from flex back to it’s normal unfixed line. A flex nib that doesn’t rebound can be frustrating to use. The flow must be enough to provide adequate ink to nib when it is flexed and not railroad. The material the nib is made and the nibs design will have an effect on the flex. Vintage nibs were most often 14K gold, contemporary flex nibs may be 14K gold, steel, or titanium. After the presentation attendees tested the various Pens w/ Flex nibs that members brought for show and tell. 1- Agreed on the location & date of P.E.N.S. Christmas party; Presbyterian Homes at Shoreview on Jan. 7th, 2018. 2- Neil reported that our treasury has $1448.45 + $40 from new members less $70 outstanding bills. 3- PENS Library: Randy K. has part of our PENS Library in his office & Frank C. has the balance of the Library at his home. Jana kindly volunteered to inventory our library of books to be listed eventually on our web site for lending purposes. Randy to look for a mobile cart so the library can be moved back and forth easily to our meeting space. 4- The members present approved the schedule of meeting programs with suggested changes. See the approved revised P.E.N.S. Program Schedule for 2017 attached. 6- Winners of the Pen Cartoon #12 were: Joel Moline, 1st place. Basil Gilliland 2nd place. Neil Lutsky & Todd Andrews tied for 3rd place. Prizes were handed out to the winners. 7- Hosts for February are Teresa, March Jana & Mike C. for April. Mark your calendars. 8- Verla Klassen (our PENS poet) read her new poem for the meeting attendees.